Preview: Crosstown Hoops Rivalry, Part One | News and Features | Style Weekly - Richmond, VA local news, arts, and events. Richmond Spiders visit the VCU Rams in the season's first basketball match-up Feb. 1. After earning UR's first triple double in basketball last weekend, T.J. Cline was named the USBWA Oscar Robertson National Player of the Week. The spirited basketball rivalry between the Virginia Commonwealth University Rams and the University of Richmond Spiders started 41 years ago. The Spiders have shocked most observers by entering Wednesday’s crosstown rivalry game sitting atop the A-10 with a league record of 7-2 and a respectable overall record of 13-8, including taking a ranked Maryland team to overtime. But all bets are off when it comes to match-ups with the Rams, which have produced a number of thrilling, close-fought games at both schools. The Spiders play small ball (Princeton offense) and play it with a lot of heart and trust among the players. They may not rebound well, or have many players over 6 feet 4, but they hardly ever rattle under pressure. Also, they're usually never out of games, as Coach Chris Mooney clearly likes to recruit players who are able to shoot the three and stretch defenses. 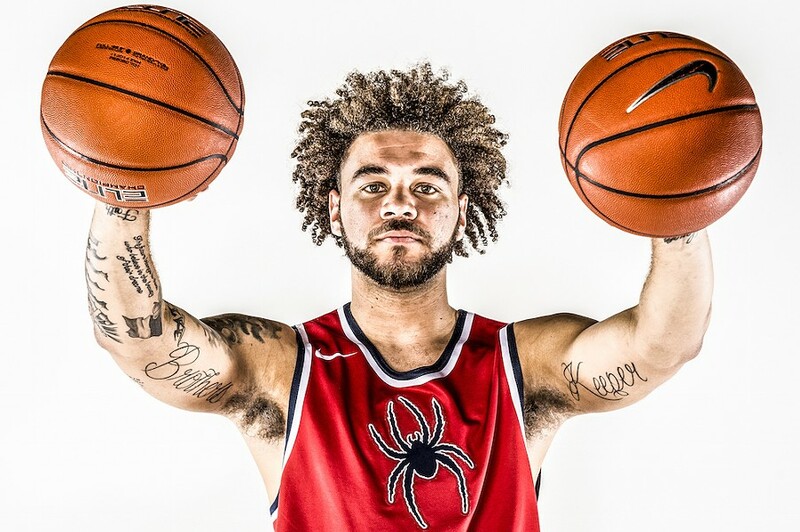 Who to watch: The Spiders are led by do-it-all senior T.J Cline -- a baseline scorer and three-point threat who has proven an excellent passer in the pick-and-roll -- as well as steady senior point guard, ShawnDre’ Jones. While Cline is coming off the school’s first ever triple double, the real sparks for this team may come from the defensive aggressiveness of sophomores Khwan Fore and Julius “Wolfman” Johnson, the latter scoring a recent career high in points. Another key on both ends of the court is the tough, competitive freshman (and former Henrico High standout) De’Monte Buckingam, a leading candidate for A-10 rookie of the year, though lately he’s been in a slow stretch of games offensively. Sophomore Julius "Wolfman" Johnson has been ferocious this year. Weaknesses: The Spiders don’t rebound well, especially offensively, preferring to get back in transition rather than crash the boards. But you can expect them to be pumped for this game and the Wolfman to be leaping and diving fearlessly for boards. Their lack of size, shifting defenses and constant flow of players off and on the court means they often have an inability to defend close to the basket, allowing easy lay-ups or dunks by opposing teams. How they’ll win: When the Spiders play good teams like the Rams, it often comes down to how well they move the ball and shoot the three (Tech-transfer Marshall Wood is due for a breakout shooting performance). But they must find a way to defend VCU inside to keep this game from getting out of hand. Also, Mooney is a legitimate madman with the subbing, often going offense/defense with players. But he’ll need to allow successful combinations to remain in the game and build on any momentum, unless faced with foul trouble issues. The Spiders come into Wednesday night's game at the Siegel Center with a half-game lead in the conference standings on the explosive VCU Rams (16-5, 6-2 in A-10). The Rams are coming off of an important 73-68 win over Dayton (15-5, 6-2 in A-10). If the surging Spiders prove to be as dogged as the Flyers were on Saturday night, well, the capital city's hoops fans are in for a barnburner. 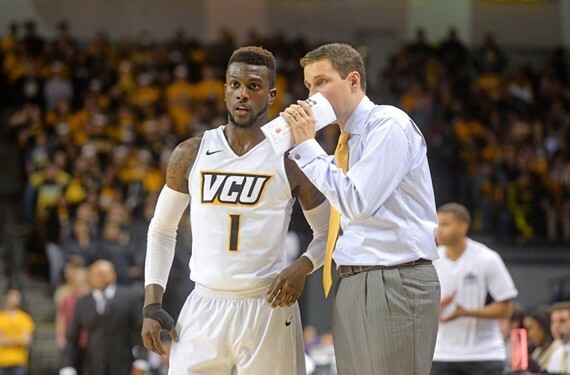 Who to watch: In his second season as VCU's head coach, Will Wade has the Rams playing an inside-out offense that can be highly effective when they take care of the basketball. So Wade's Rams depend heavily on getting the ball to their two big men -- senior Mo Allie-Cox (9.7 points, 4.1 rebounds) and junior Justin Tillman (11.9 points, 7.6 rebounds). Somewhat ironically, in recent games freshman guard Samir Doughty (8.8 points, 4 assists) has become the Rams' steadiest outside player. He's a threat from anywhere on the floor and particularly clever around the basket, with double-clutch shots, short passes and grabbing boards. Smooth Doughty, who could be poised for a breakout game, and light-quick Tillman were the stars of the Dayton victory. Weaknesses: Gone are the days of depending mostly on the open court play and long jump-shots of the Shaka Smart era. And if the Rams' big men get in foul trouble in the first half trying to stop Spiders star T.J. Cline (19 points, 8.3 rebounds) from getting a triple double, VCU will be in trouble. So watch how closely the refs call this one. Point guard Jequan Lewis and VCU Coach Will Wade. How they’ll win: Wade's Rams play better half-court defense than did Smart's teams. Ball-handling will be a key for the Rams. If the VCU guards avoid making too many turnovers trying to force the ball inside and senior guard JeQuan Lewis (14.6 points, 4.6 assists) has a hot shooting hand from three-point distance, the home team will be hard to beat. With the still-improving half-court defense working for them, the Rams ought to have an advantage. Tip-off the VCU Rams’ Siegel Center is Wednesday, Feb. 1, at 7 p.m. If you don’t have a ticket, you can watch on CBSSN or listen to the broadcast on ESPN 950.